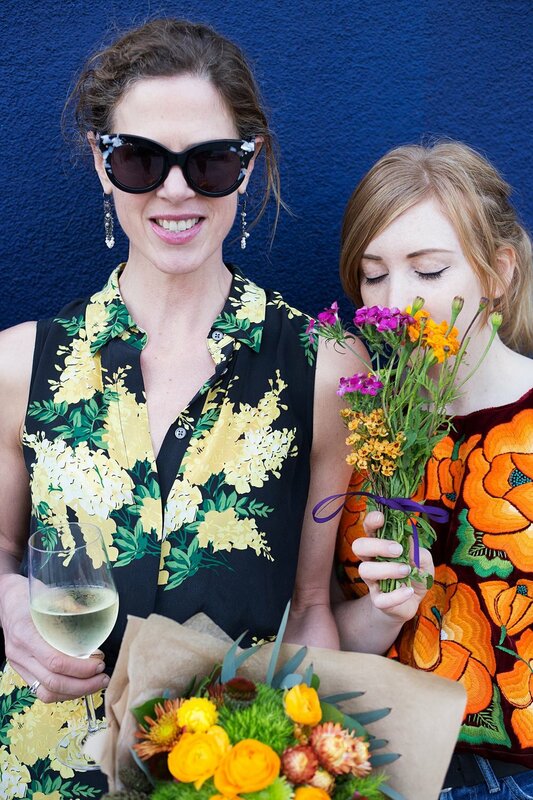 Our springtime floral design workshop - back by popular demand!!! This time we will be guiding you through creating your own sculptural tropical arrangment. Tropical flowers dazzle us with their form and vibrant colors. Learn how to work with these beauties using special techniques to showcase their modernist shapes and natural brilliance. 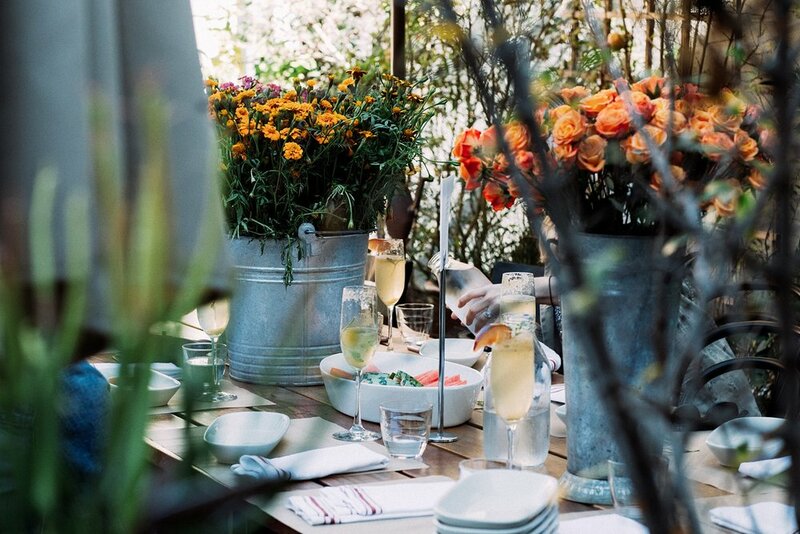 Bring a friend to enjoy the afternoon in our urban garden oasis! - Light snacks and festive beverages! 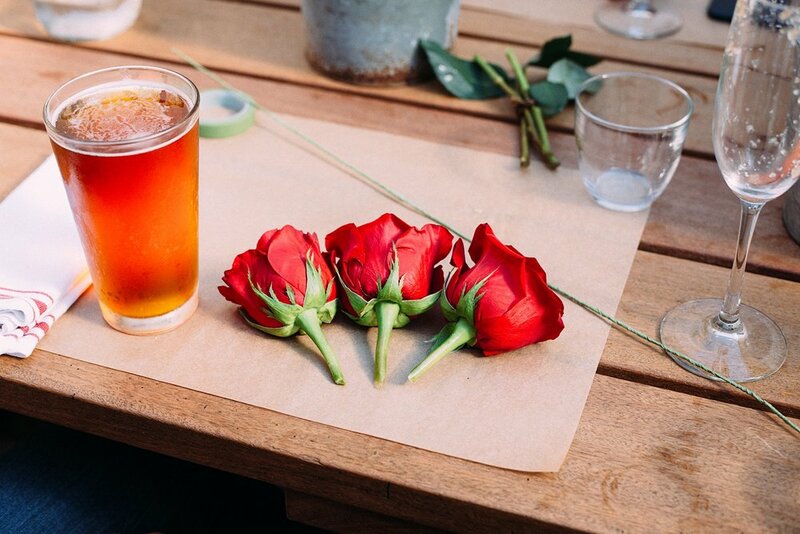 Come celebrate the longer days with us and learn how to make your own flower crown! We will be creating sweet and delicate floral crowns perfect for your Sunday Funday! We will be using fresh flowers specifically chosen to dry beautifully, so that you can plan on wearing your floral crown to your next baby shower, party, or bridal celebration! Enjoy sparkling festive drinks and light snacks. * All necessary supplies and tools will be provided. We will be celebrating the most beautiful blooms of the season! Tulips! Peonies! Hyacinth! The bounty of the spring earth will be our palette. 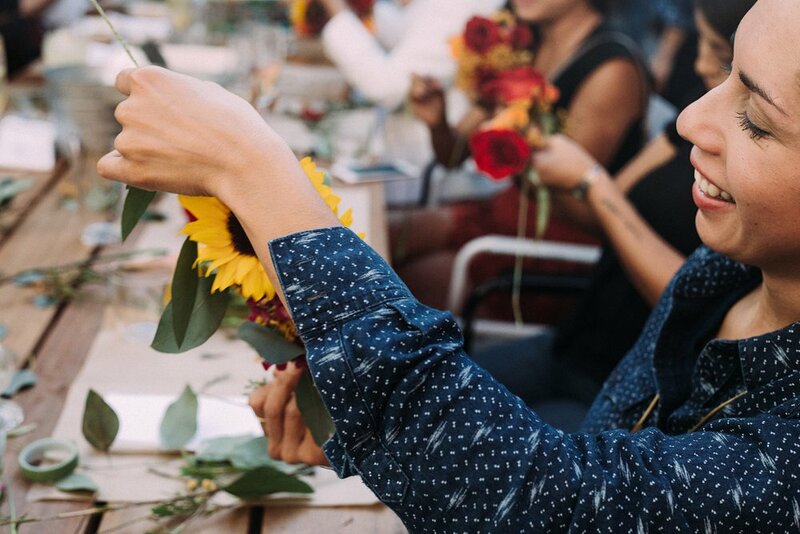 We will be learning about the specific attributes of each of our spring flowers, and each participant will go home with their own beautiful vased floral arrangement. Festive drinks and light snacks will be served. This very special class will give you a chance to work together with your little ones (5yrs and up) in a hands-on project to create a living gift for dads. Father’s day is June 17 th! Please join us and little ones will customize containers and learn how to plant and take care of succulent arrangements. Each team will go home with a beautiful gift ready for the following weekend! 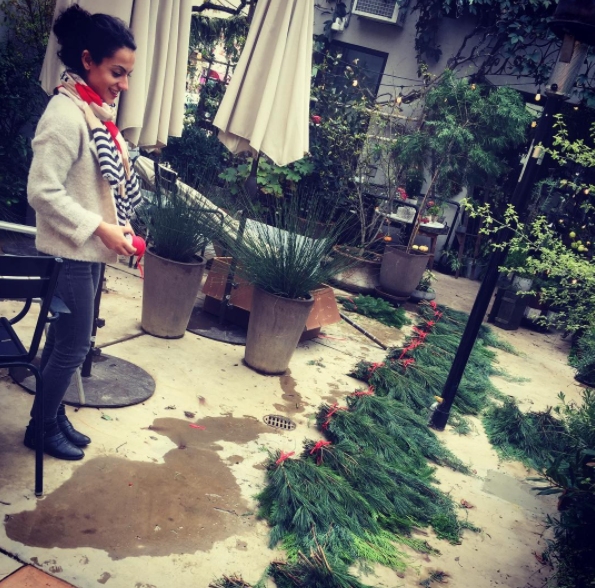 Join Kara from Cimaruta Remedies for a Holiday Amaro making class. Sunday December 17 from 2-3 pm at Brother and Sisters Flowers on Grand Ave. in Oakland. Learn about the history of this ancient and fantastically diverse Italian digestive liqueur. We will talk about the plants that have been traditionally used in Amaro formulas, we will taste some, and then make our own. Each participant will go home with their own custom made Amaro. All must be 21 years or older. Back by Popular Demand! Time to decorate your door for the Holidays! Join us Sunday, Dec 3rd from 2pm-4pm to learn how to create your own holiday wreath! All materials, light snacks and festive drinks will be served. 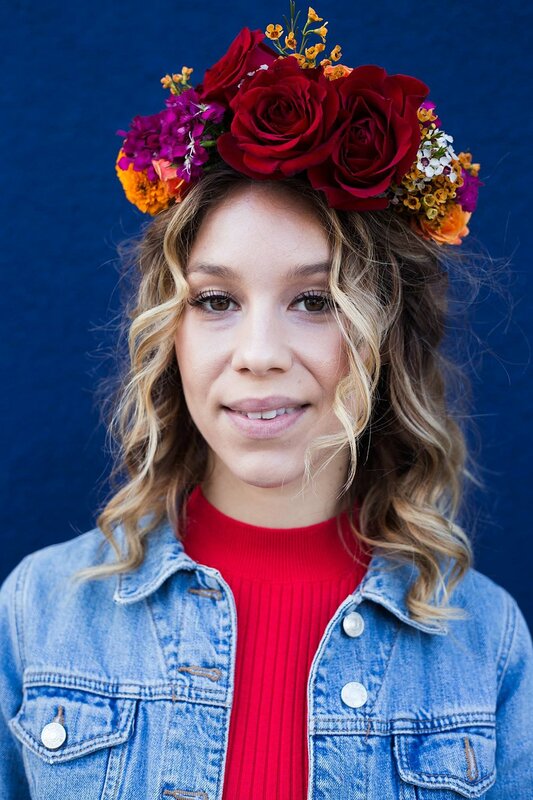 Join us on Wednesday, November 1st @ 4pm - pm at Calavera restaurant and make a your own Dia de los Muertos flower crown with Freya Prowe - the owner of Brother & Sisters Flower Shop, floral designer and visual artist. All materials will be provided. Snacks and festive drinks will be served by Calavera. Come join us to create your very own long lasting Thanksgiving centerpiece! We will be hosting a fun and festive fall class featuring succulents, and dried flower elements on Sunday, November 12th from 2pm-4pm. Festive drinks and light snacks along with all necessary supplies will be provided. * Feel free to bring your favorite gardening gloves if you prefer to keep your hands clean! Mother's Day class event, hosted offsite in our client's space. 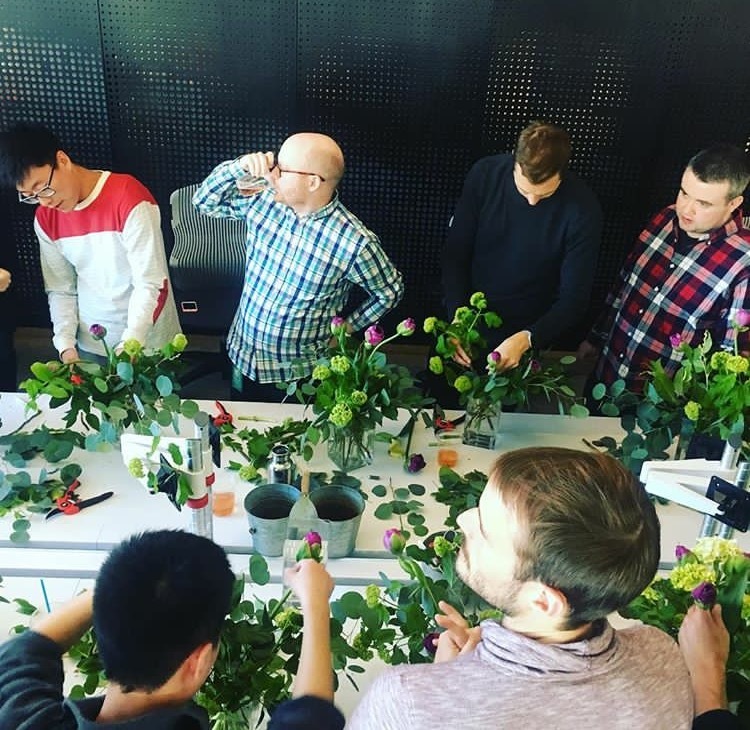 What a fun team building happy hour event to celebrate the moms with a floral arrangement created by their partners and sons right at work!!! Join us in celebrating the new year with a very special workshop focused on the bloom which caused an uproar of passion and commerce in Holland a mere half-millennium ago. TULIPOMANIA!!!! We will discuss the history of this noble flower which caused fortunes to collapse and a fiendish lust to spread throughout Europe in the 17th century. After a quick historical recap we will feast our eyes on the wide range of forms, colors and textures represented in the tulip world. We will get our hands wet with the focus of the workshop; floral arranging with tulips and their compatriot fragrant bulb flowers (such as hyacynth, narcissus, allium, daphne, scilla and more…) Each participant in the workshop will walk away with a beautiful spring vased arrangement of their own creation and a new appreciation for the wonderful world of spring bulb flowers! Sip some bubbly and enjoy the spring colors and heady fragrances! Light snacks and drinks will be served. Come help us ring in the Season on Sunday, December 11th @ 3pm and take home a beautiful evergreen wreath of your own! 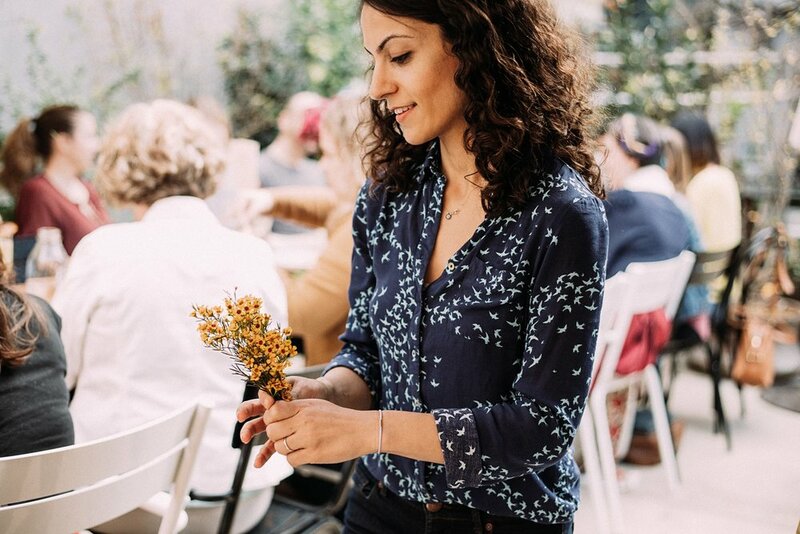 Join floral designer and visual artist Freya Prowe, the owner of Brother & Sisters Flower Shop in celebrating the festival of Santa Lucia in the Swedish Tradition. 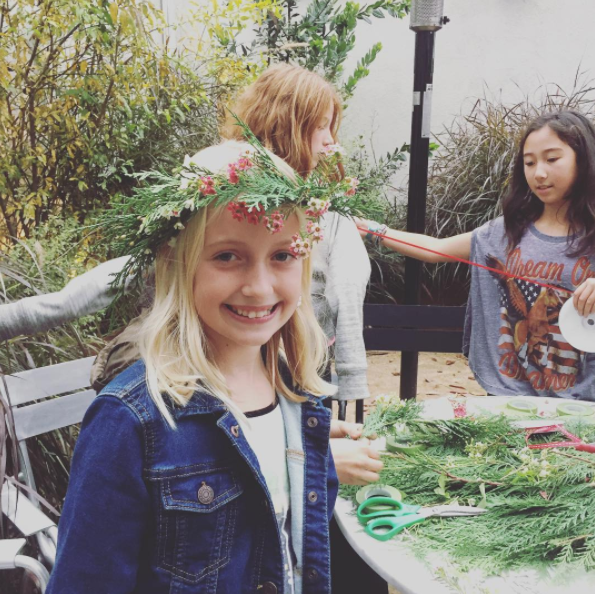 Each participant will create an evergreen wreath to take home, and in the tradition of Santa Lucia, each participant is invited to bring one child (7 years and up) to create a seasonal head wreath of their own! Light snacks and festive drinks will be served. All materials and complimentary drinks will be provided. If you have your own tools that you prefer to use, feel free to bring them, otherwise we will provide everything you need to create your own unique wreath to take home! Seats are limited so reserve your spot now! Celebrate the season with Brother & Sisters Flower Shop!!! 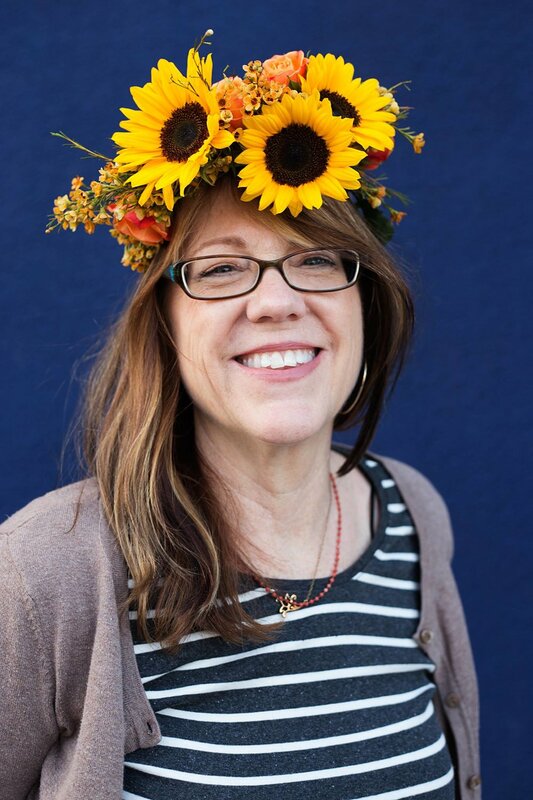 Come join us on Sunday, November 13th @ 2pm and learn how to make a fall wreath using a variety of autumn foliage and branches with Freya Prowe, the owner of Brother & Sisters Flower Shop, floral designer and visual artist, while sipping some bubbly! 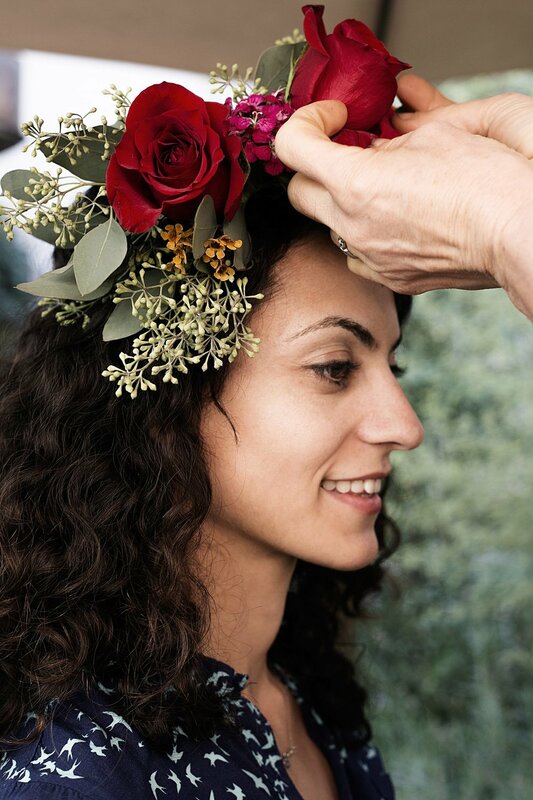 Come join us and celebrate the season on Sunday, October 23rd @ 2pm and learn how to make a Frida Kahlo style flower crown with Freya Prowe - the owner of Brother & Sisters Flower Shop, floral designer and visual artist- while sipping our special FridaCocktail. Try on original Tehuantepec Mexican (Frida's favorite!) pieces from The Vingate Net and pose for photograher Zeynep Enderoglu whose photographs have been published in Vogue, Bob Cut Magazine and more! No experience needed. - All materials, complimentary drinks and bites will be provided. - Limited seats. Sign up with your email address to receive updates on the upcoming workshops.